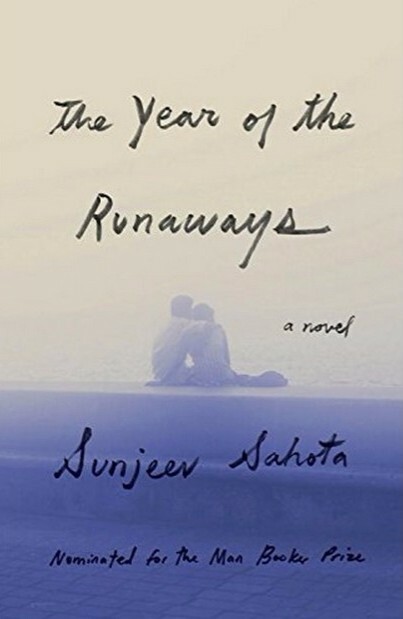 Sunjeev Sahota proves that it is possible to craft a quietly political novel, one that tells an essential cultural story not by heavy-handed prose and manifesto-caliber rancor but by the creation of fine characters and the empathy they elicit from their readers. 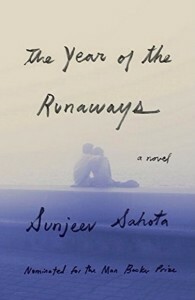 Deservedly short-listed for the 2015 Man Booker Prize, The Year of the Runaways follows the lives of three Indian immigrants living illegally in England, and it is a humble triumph of storytelling. Randeep has arrived in Sheffield with Avtar, his sister’s boyfriend, to look for work. Randeep is there by way of a phony marriage to a devout British Sikh named Narinder who, although being uncomfortable in Randeep’s presence, is selfless enough to help him exploit the legal system. If they can maintain the illusion of matrimony through a year of inspections from the immigration office, then Randeep can apply for citizenship, divorce Narinder, and bring his family over from India. Avtar, meanwhile, is motivated by his love of Lahkpreet and would do anything (including sell a kidney to pay for his initial trip to England) to provide for his partner. When the novel opens, Randeep and Avtar are living in a tiny house, crammed together with a slew of other immigrant workers. One of these men is Tochi, whose aggressive attitude inhibits his ability to fit in with his peers. A foreman arrives each morning to drive the men to various job sites and takes a nominal cut of their paltry wages. By introducing Avtar, Randeep and Tochi as essentially a row of tired faces in a work van, Sahota’s done something remarkable with our initial perceptions of these characters. They all appear to be equals, in the same bad situation: in Sheffield, they’re the lowliest rung of modern “professionals” and equalized, in a way, by their poverty. But Sahota upends these notions with a series of novella-sized flashbacks devoted to each character that expose their castes and social stature back in India. Curiously, Tochi’s history is first: Sahota plunges into the life of the untouchable ‘chamaar’ and simultaneously lays out the political backbone of The Year of the Runaways. Like all the characters in the novel, Tochi’s goal in life is monetary success, and his hard work and determination lands him a job as a rickshaw-driver. Distracted by these exciting new opportunities, it’s difficult to pinpoint where exactly the political tensions in Tochi’s city begin to sour. Rumors of caste-based riots begin to circulate, which would place Tochi’s family in great danger. The Maheshwar Sena were more and more on the city streets. It seemed as if around every corner there was a jeep loaded with men in saffron bandanas. They spoke through megaphones, reminding people of the upcoming day of the pure. Any low castes, or anyone protecting a low caste, would be committing a crime against Hinduvata, would be spitting on the burning bodies of their murdered brothers and sisters, would be dealt with. When it becomes clear that Tochi is in Sheffield as a survivor, and not as a son or a lover, Sahota’s characters take an even more emphatic form in tandem with one another. Narinder, although in Britain legally, becomes a fourth “runaway” as she struggles with her faith and the selfhood she consistently ignored in the name of helping others. Sahota’s prose is propelled primarily by dialogue, and he resists many opportunities to provide insight towards a deeper reading than what’s already laid out. Instead of metaphors and savory sentences worth re-reading aloud, Sahota allows the clamor of life to hum around his novel’s action. At times the story feels almost bilingual, with Indian slang and terminology spilling from its dialogue to its narration. Political and socio-economical cracks splinter throughout the novel but from them a story emerges about home and self-discovery, about resetting our pasts as if they weren’t entirely our own and starting anew.